System not running as it should be? Give us a call and we'll take a look. When your system isn't running properly, life is a major headache. Whether you have software conflicts, need more memory or have some other niggling problem, a system overhaul will run through a series of checks and get you back up to speed in no time. What's more, through ensuring things like patches and anti-virus software are up to date and backups are being done properly, this service will reduce the risk of expensive future downtime enabling you to get on with your business uninterrupted. 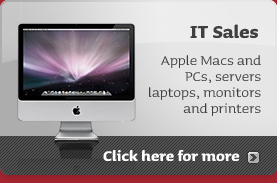 Our system overhaul service is provided for PCs and Macs. It is included in our On Site Support Contract or Comprehensive Support Contract packages, at the beginning of the contract and during preventative maintenance visits. System overhauls can also be provided as a one-off service to any computer needing a health check. Based in Islington, EC1 we work with businesses in central and greater London. A system overhaul with TDA will optimise your PC or Mac so it is running at full efficiency. Our experienced engineers will leave you with peace of mind, knowing that everything from backups to online protection to software licensing is taken care of and preventing possible costly repairs and/or down-time or fines.